The brand new duet from New York. Josh Dion and Geoff Kraly began to work on their debut album in the autumn of last year. The album is scheduled for release in 2018. By mixing the variety of stylistics in unpredictable configurations the duet seems to interpret eclecticism in a new way. They spare no auditory layers of raw sound added to funk or soul. What’s more, the musicians emphasize their work by groove and unique electronics while using the modular synthesizer which creates an abstract glitch. The artists neatly add up some lyricism to synth-pop thanks to their unique vocals. Dion and Kraly are familiar with the American traditions and the meaning of Americana but they do not represent such values directly in their music. Singles such as Ape, Hot Canyon Air and Ain’t No Movin’ Meare an excellent sources of the invigorating power of this duet. One of the representatives of XJAZZ Berlin Festival. The artists met in Dresden in East Germany. It very soon became apparent that Inéz and Demian Kappenstein share a similar sensitivity. They soon entered the studio and created the material for their debut EP called Ätna. It was released in April 2017 through recordJet label. Inéz not only sings but also plays a minimal drum kit and is in love with the sound of the pianoforte and Demian is an excellent drummer who combines his rhythms with electronics. Neatly applied audio-tunes make Inéz sound similar to Beyoncé. However Demian’s rhythms created in the spirit of an outstanding Russian artist – Mary Ocher – perfectly accompany Inéz’s tricky vocals. Their songs definitely meet the demands of the 21stcentury. The most important artist who is associated with XJAZZ Festival because he initiated the creation of XJAZZ Festival back in 2014. It has almost immediately become the greatest jazz event in Berlin. The musician is a founder of the Contemplate label and an excellent trumpeter and pianist who roams through jazz, classical and electronic music. Sebastian Studnitzky not only acts as an organiser and a multi-instrumentalist but also as an activist in the academic environment. He took a position as a Professor of the Dresden University of Music in September 2014. The German artist is best known for his project called Mementowhich presents his classical-jazz crossover with string quartet and chamber orchestra filled with unique compositions. His music is too edgy for pop, too opulent for electronic music, too emotional for jazz with a rhythmic groove and far from avant-garde. Apart from his numerous projects, Studnitzky releases solo albums as well. His newest one called KY organic was released in 2017 and contained the mix of minimalist forms using trumpet, pianoforte and some minimal techno electronics. Thanks to Studnitzky’s friends from the University – Tim Sarhan (drummer) and Laurenz Karsten (guitar player) – tracks from KY organicsound even better than it was expected. It is worth noting that musical material for KY organic was recorded in RecPublica studio in Poland. The German Music Association Bundesverband Musikindustrie honoured Studnitzky with the Echo Jazz in 2015. Cooperates with a Norwegian Hubro label. The members of the trio are Mari Kvien Brunvoll (vocals, sampler, zither, percussion, kazoo), Øyvind Hegg-Lunde (drums and percussion) and Åsmund Weltzien (synthesizer, electronics, melodic). They all take part in numerous valude projects such as The Big Almost, Crab is Crap, José Gonzalez, Junip and Thea Næss. 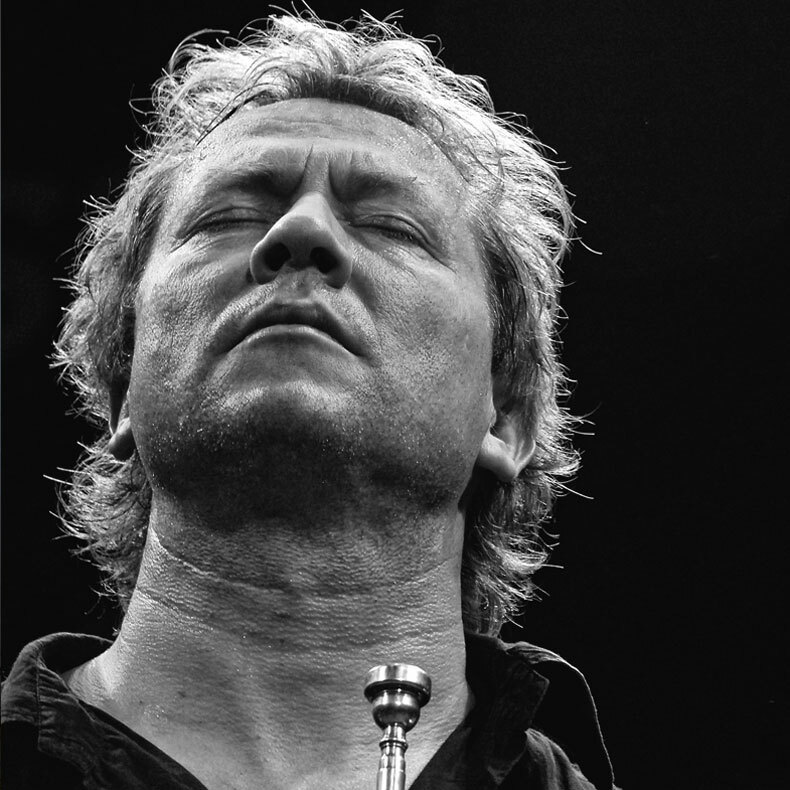 Vocalist Brunvoll has been described as exceptionally talented by Jazzland’s label owner - Bugee Wesseltoft. She sings perfectly well in Norwegian language using her local Molde dialect and her own imaginary language. In 2012 she released her first solo album called Mari Kvien Brunvoll on Wesseltoft’s Jazzland label. The trio released their first album six years after the group was established – Building Instrument was released in 2014. Their experimental visions full of acoustic and home-grown focus created an unconventional entourage filled with fascinating sounds. On their second album, Kem Som Kan A Leve (Hubro, 2016), their mode of expression is deeper and it is hovering between folk and electronic synthesis which makes their music still extremely addictive and catchy. A Norwegian jazz trumpeter, composer and record producer. He is best known for fusing the variety of styles – jazz, ambient, rock, funk, electronic music, hip-hop and pop. The Norwegian trumpeter was no stranger to ECM’s founder and producer Manfred Eicher – Molvær had been a member of Masqualero band (named after a Wayne Shorter composition originally recorded by Miles Davis). Soon after, he released numerous records on the label and recorded with other ECM artists such as Robyn Schulkowsky, Marilyn Mazur, Jon Balke’s Oslo 13 and Sidsel Endresen. In 1997 Molvær released his debut solo album called Khmerwhich immediately made him known as the most celebrated creator of the Norwegian musical style nu-jazz. It was music that owed as much to electronics, trumpet and technologies that made it possible, as it did to jazz. It’s indisputable that the artist had been inspired by Miles Davis and Jon Hassell and yet created his own style. A guitarist with a unique musical vision. As one of the Norway’s most in-demand guitarists, he collaborated with Jon Hassell, David Sylvian, Bill Laswell, Jan Garbarek, Dhafer Youssef and Nils Petter Molvær. The artist worked with Nils Peter Molvær’s band, appearing on all of Molvær’s albums, including the breakthrough album called Khmer.This year is the 20thanniversary of releasing the album called Électronique Noire, his debut as a bandleader and among the first Jazzland recording releases. There’s no established rules or tradition in what I am doing, you can make the rules up as you go along – says Aarset. Born in 1977 in Switzerland and in 2000, after graduating in Boston he started touring Europe and abroad with Erik Truffaz. 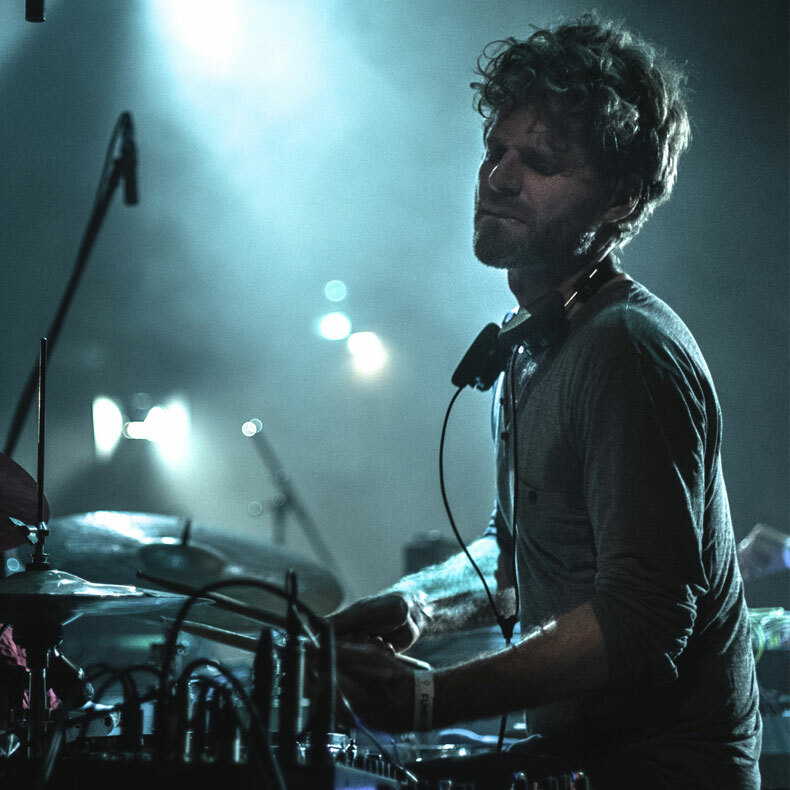 In 2003 he moved to Berlin and became one of the influential musicians of his generation for improvised music. He recorded albums for ECM, Intakt, HatHut label and many others. He collaborated with many artists, among others, Noreia, Daniel Erdmann-Samuel Rohrer Quartet, Wolfert Brederode Quartet, AMBIQ with Claudio Puntin and Max Loderbauer. Rohner has been touring all over the world and played on many major festivals such as NorthSea Festival Rotterdam, Montreal International Jazz Festival, Portland Jazzfestival, Vancouver Jazz Festival, Festival Le Mans, Banlieues Bleues Paris, Ulju Festival Korea, London Jazzfestival and Fajir International Music Festival Tehran.